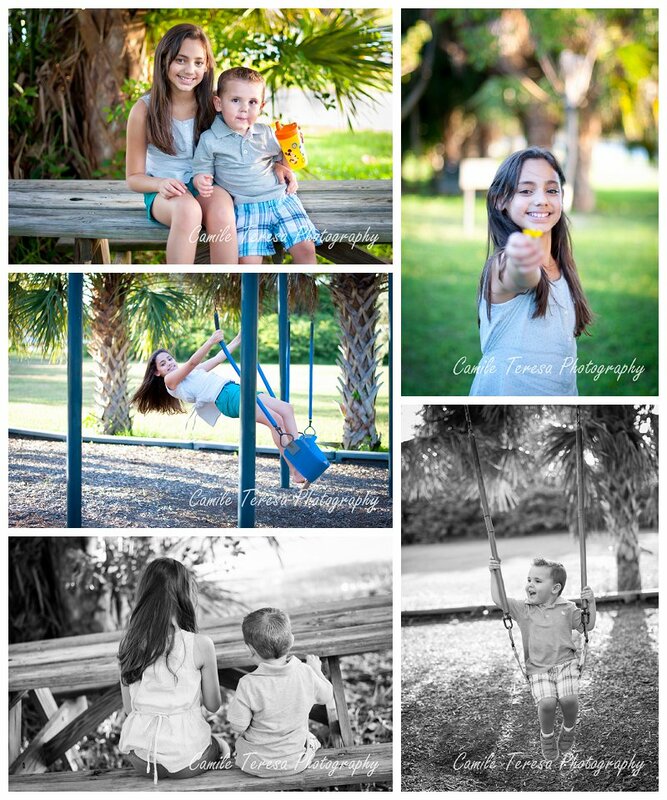 I had the pleasure of shooting these two adorable kiddos at a new location, Hugh Taylor Birch State Park. 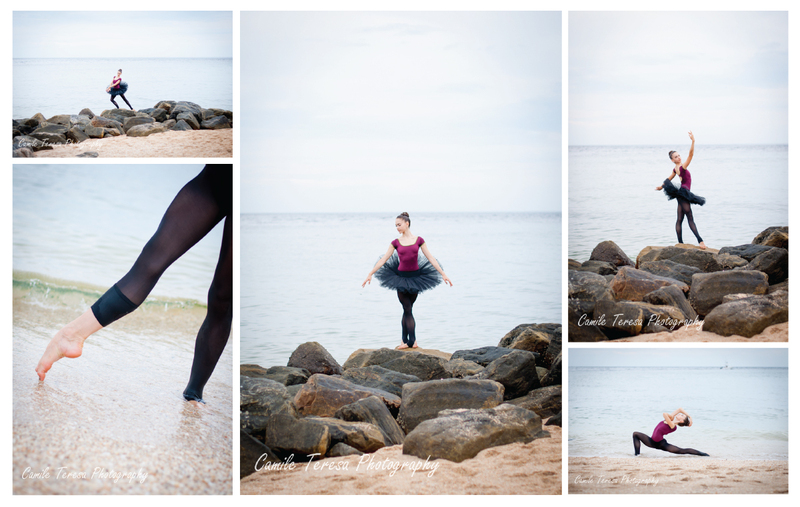 This large state park is located in downtown Fort Lauderdale right across from the beach off of Sunrise Blvd. The first thing that surprised me was that the park was huge! I spent about 30 mins before they arrived driving the 2.5 mile (one way) loop around the park and finding all the little incredible spaces that were tucked away off the road. Our first stop was the children’s park. Ilany is 10 years old and Ray is almost 3, so I knew I wanted to take them to a spot where they could play and interact. They loved the swings and it was a good way to get them loosened up! 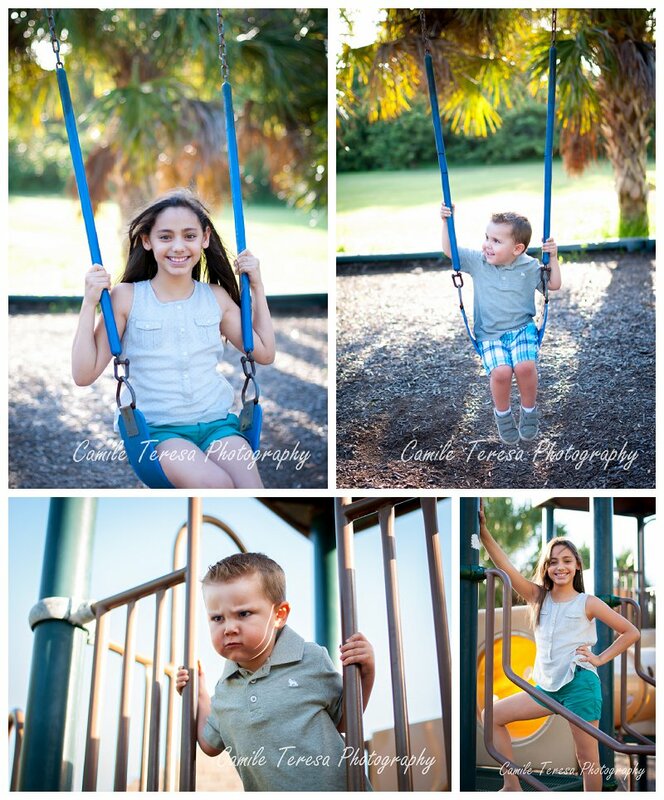 Their mom, Evelyn, calls this collage “attitude!” I crack up everytime I look at Ray’s “angry” face. He’s just such a cutie! 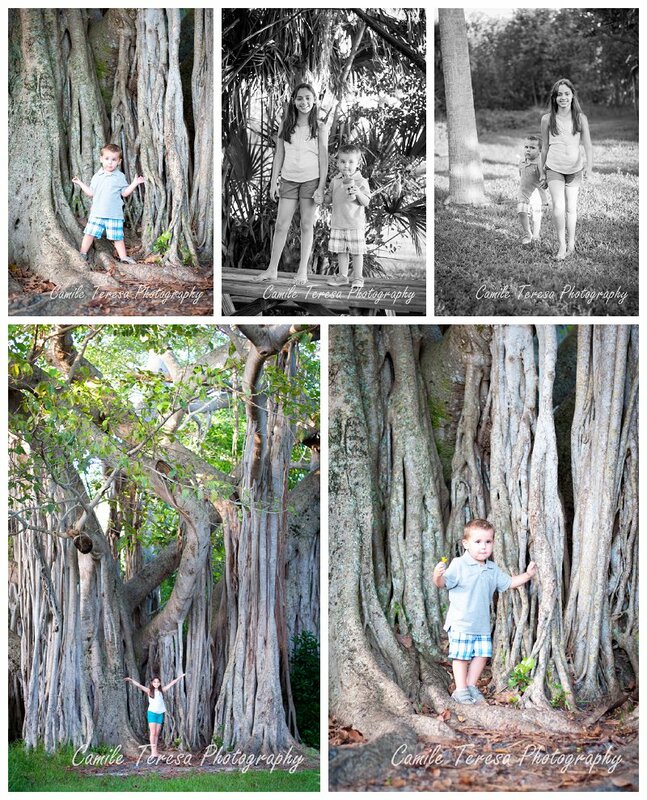 Next, we headed to the middle of the park where a massive, 100 year old Banyan tree sits. 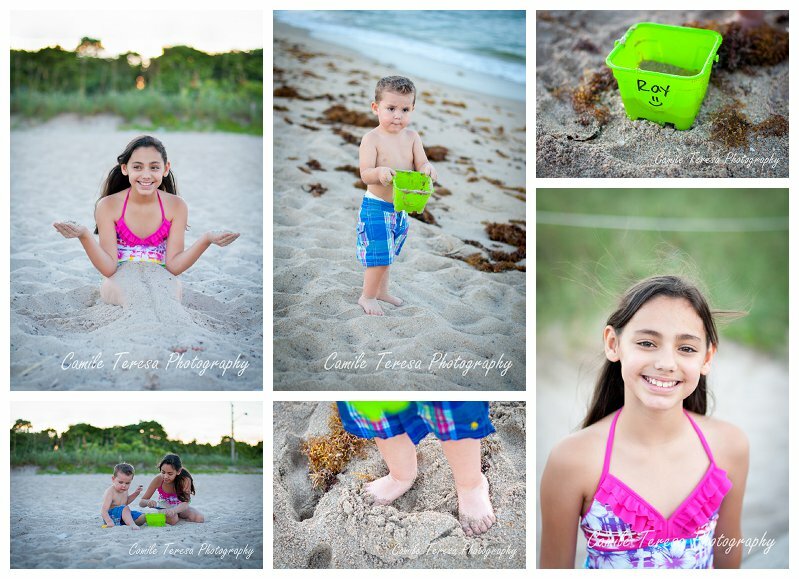 Lastly, just as the sun was leaving the sky, we spent some time letting the kids play in the sand & water, which both of them loved. 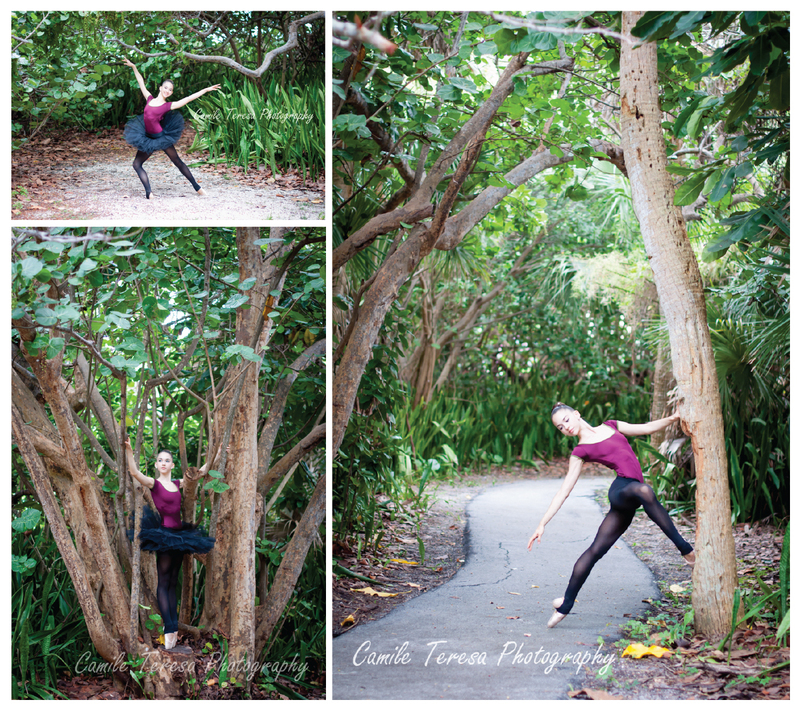 It was a fun afternoon capturing Ilany & Ray in a great Florida nature spot. 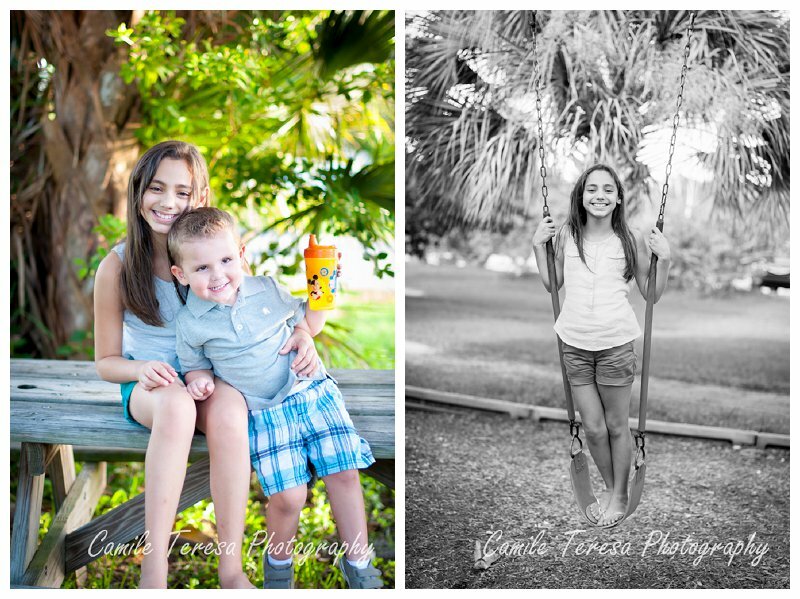 A big thank you to their mommy, my good friend Evelyn, for trusting me to capture her awesome kids!